Through close readings of Karl Barth's theological work from 1916 to 1929 this book offers an exposition of Barth's doctrine of sanctification in his earlier theology--arguing that from his earliest writings after 1915 the doctrine of sanctification was one of the key theological components used in describing the encounter between God and man in a positive and concrete manner. 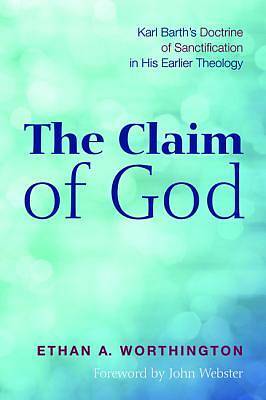 This book both fills an important gap in Barthian scholarship and responds to the appeal by other recent interpreters of Barth's theology for a more balanced and careful exposition of his work. Throughout the course of this exposition the force of Eduard Thurnyesen's wonderfully insightful comments about Barth show themselves to be fruitfully borne out within his work from early on. That is, ""Karl Barth's theological thinking was from the beginning directed to the life of man . . . the life of man, on the one side, and on the other the Word of God that meets this life, lays hold of it, and transforms it."" ""This book presents a close, attentive, and convincing reading of Barth's doctrine of sanctification during this period and makes a significant contribution to this neglected area of Barth studies."" --David Clough, Professor of Theological Ethics, University of Chester, England Ethan Worthington is a community minister at Eastern Hills Bible Church in New York. He received his MA in Systematics and Historical Theology from Wheaton Collge and his PhD in Systematic Theology from King's College, University of Aberdeen.